Elections’ euphoria continued to drive equities where KSE-100 Index rose by 2.4% or 951 points week-on-week (WoW) to 41,222 points. 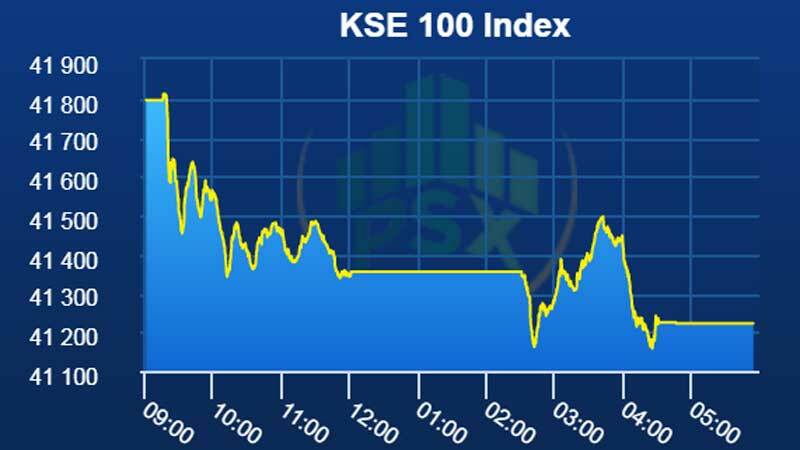 Index was mainly driven by heavyweight sectors including banks, cements and fertilizers by contributing 269 points, 158 points and125 points respectively. Market activity also continued to improve with average daily traded value going up by 35% WoW to 66 million and traded volume went up by 68% WoW to 219 million. Banks returned 3.0%WoW on 100bps hike in MPS over the weekend compared with expectation of 50bps as reflected by secondary market yields. United Bank Limited (UBL) alone contributed 171points with 10.6%WoW return as it posted recovery on laying concerns of possible penalty by Federal Reserve Bank of New York (FRBNY) to rest. Cement sector posted 5.7%WoW return on news of cement price increase by Rs 10/bag in North region. Similarly, fertilizer sector returned 4.2% WoW on news of Rs 50/bag increase in urea prices. On economic front, State Bank of Pakistan (SBP) has increased its Policy Rate / Discount Rate by 100bps to 7.5%/8.0% owing to rising inflationary expectations, widening Fiscal Deficit & Current Account Deficit, and reduced Pakistani Rupee rate real interest differential. Intensifying economic risks flagged by Monetary Policy Statement (MPS) lead Pakistani Rupee to depreciate by 5.3% against the US Dollar to Rs128 during the first day of the week. Foreign investors, banks, and brokers remained the major net sellers as they sold shares worth $ 22.1 million, $ 9.0 million, and $ 6.0 million during the week, respectively. This selling was mainly absorbed by Insurance companies, Individuals, Companies, and Mutual Funds with net buying of $ 13.0 million, $ 9.8 million, $ 7.3 million, and $ 6.6 million, respectively. A report, prepared by Elixir Research Department, said investors’ interest will likely remain glued to elections’ euphoria which is scheduled in upcoming week on 25th July. However, vulnerable economic position and persistent foreign selling remain major concerns for valuations. The former is not expected to improve anytime soon where the central bank has taken corrective policy actions by aggressively raising interest rate and allowing significant flexibility in exchange rate.